The CSCTA Board of Directors met in Toronto over three days earlier this week to discuss the future strategic direction of the CSCTA. After three years as the President of the CSCTA, Peter Carpenter has stepped down from the leadership role. CSCTA Board Member and Head Coach of Dalhousie University, Lance Cansdale will assume the role of President. Carpenter cited a desire to step back in order to concentrate more time on other projects and also with his McGill University where he is the Head Coach. He will remain on the Board as the 1st Vice President and lead the Awards & Recognition portfolio. Carpenter was first elected to the Board in November 2009 and has served as a Director at Large and Domestic Director before moving to President in 2015. During his tenure Carpenter has presided over the growth of the CSCTA in many areas including the Association’s development of new funding and education opportunities including the Mentorship and Apprenticeship programs. On behalf of the CSCTA Board of Directors and entire membership I would like to take this opportunity to thank Peter for his service and leadership in the role of CSCTA President for the last 3 years. 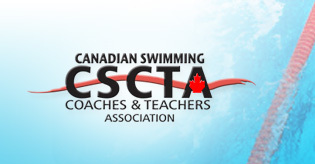 If you have any comments or questions please contact Executive Director, Chris Hindmarch-Watson, via email at chris@cscta.org.